Randalljai, indunno and 1 Guest are viewing this topic. 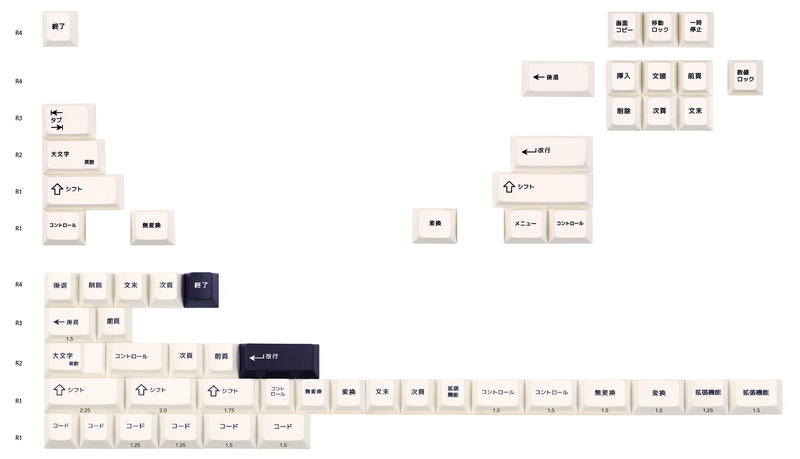 This is an Interest Check for a PBT dye-sublimated keyset which combines the legends from the popular Enjoypbt Black Japanese set and the more recent Enjoypbt Black on White. 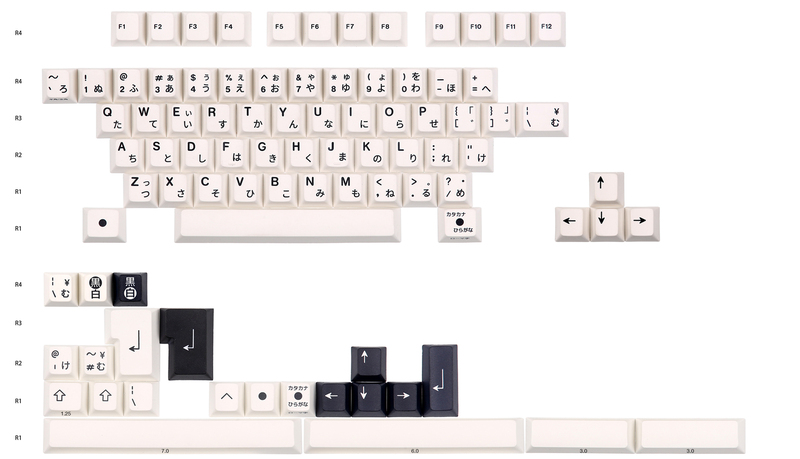 The kit is largely based on the Enjoypbt Black on White set with the revised legends and icon modifiers. All the Japanese legends have been redone with a slightly different font than that of the Japanese Black set. I will also use thinner legends than my previous sets and also bundle some reverse dye-subbed accents as shown in the kit preview. Enjoypbt have prepared tools to facilitate reverse dyesubbing for this set which is something that is currently unique to this set. 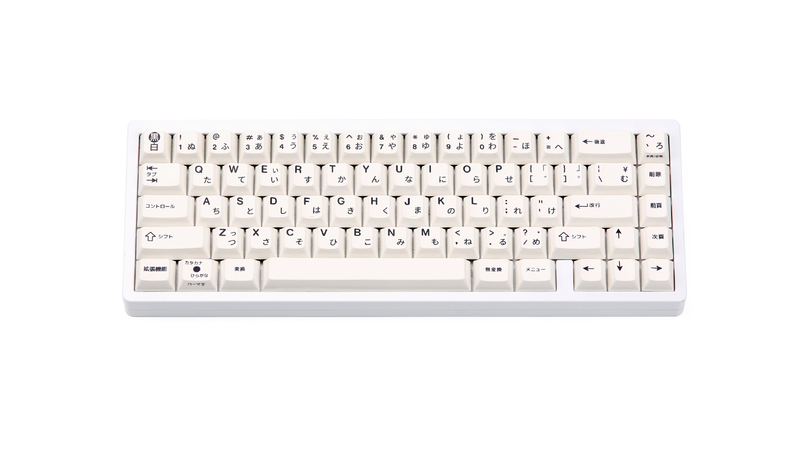 The colour of the white will be a little less beige than GMK's WS1 white but should retain a similar brightness. The current samples match WS1 but I am currently looking at a Pantone colour that is more to my liking. Above is a photo comparing the Enjoypbt Black on White sample (top) with the current Kuro/Shiro samples. 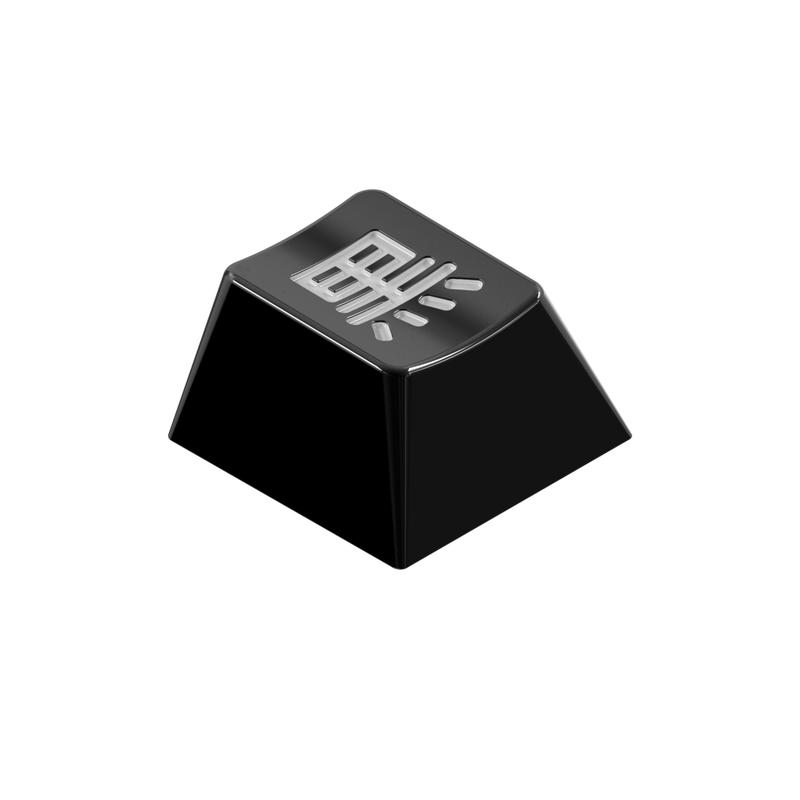 These will also be run through KBDfans. 11/10/2018 UPDATE: After looking at the survey, I have started working on some options regarding a Japanese mod kit. Once that is ready, I will be posting it here and opening up another google form to see what your guys preferences are. From the short while that I've worked on the Japanese kit, I've already formed an opinion on which combinations work well but I haven't decided what will be part of the base kit and what would be an addon. I'll also be posting documentation showing how I arrived at some of the design choices. 17/10/2018 UPDATE: Added a google form about the International ISO kit. I will be leaving this open till the end of the week unless I don't receive enough responses, in which case I will leave it up for longer and work on the other kits before coming back to this. Also added individual kits. 20/10/2018 UPDATE: Added the International kit to the list. 31/10/2018 UPDATE: Sent design files to be prototyped. EST is 16th of November at this stage. 07/12/2018 UPDATE: Samples produced. 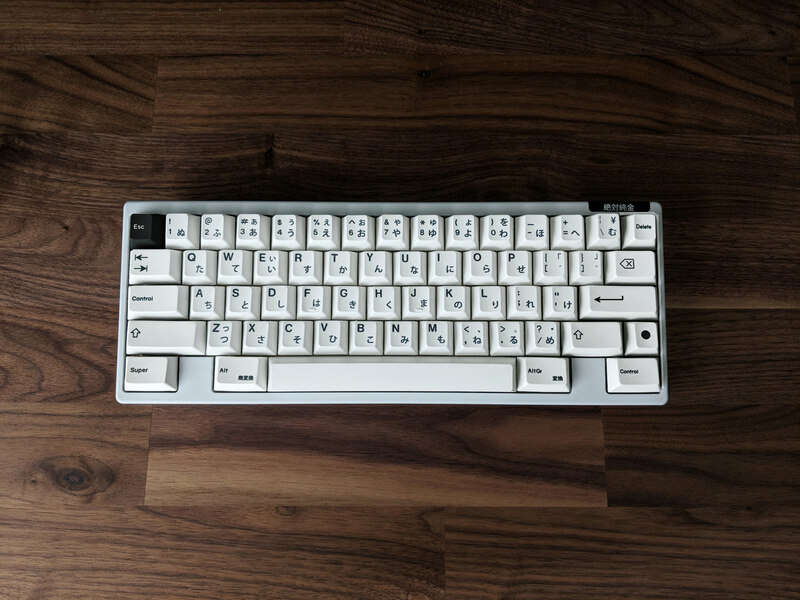 Waiting for high-res photos from KBDfans and then for them to ship the samples to me. Expecting to receive the samples early January. 21/12/2018 UPDATE: Replaced photos of the samples with a new batch of photos and updated some of the info. 05/01/2019 UPDATE: HAPPY NEW YEAR! 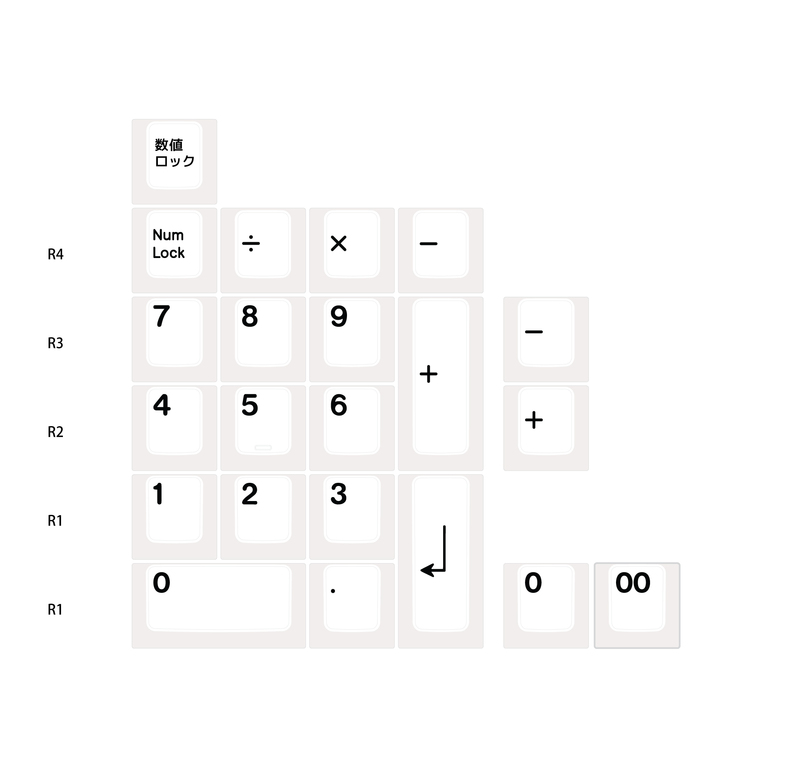 Updated the kit previews and added a spacebar kit and split the numberpad into its own kit. I will be ordering some pantones to try and find a white that is slightly less yellow. This will push the GB date out and I have edited the estimated date to reflect that. 15/01/2019 UPDATE: Updated the International ISO kit preview. 22/01/2019 UPDATE: Colour swatch en-route to KBDfans. 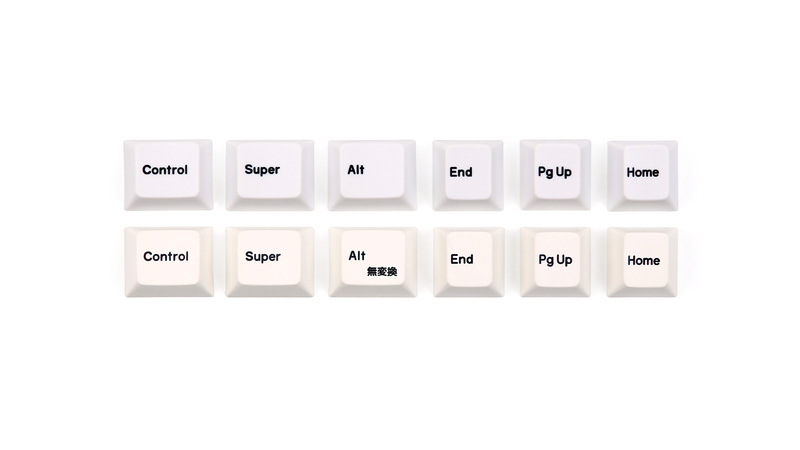 New keycap samples estimated to arrive after Chinese New Year. 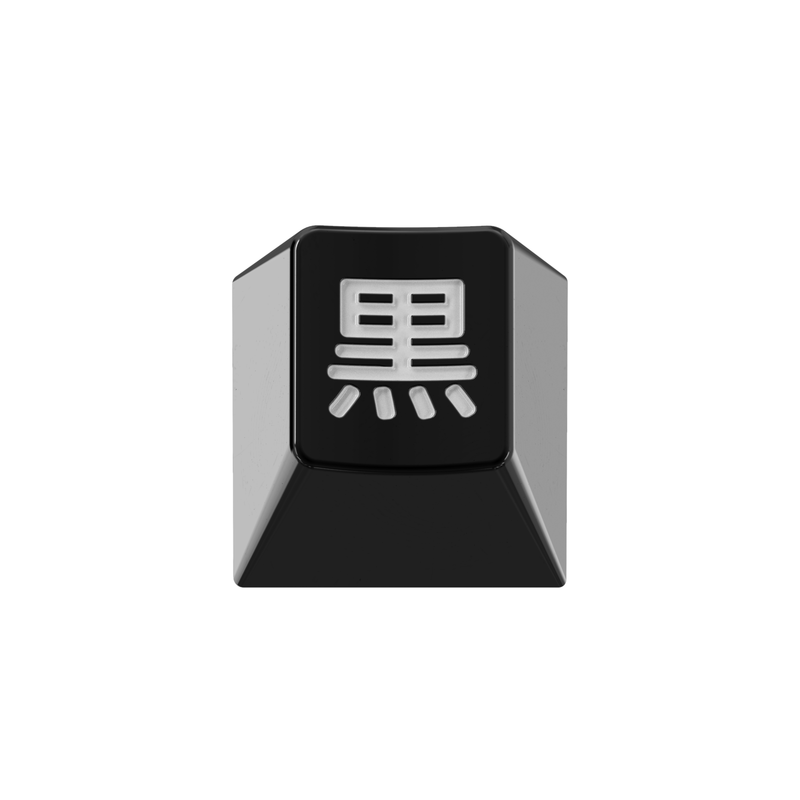 03/03/2019 UPDATE: First colour samples got lost in the mail system but KBDfans have received the 2nd package so the factory can proceed with the production of the next batch of prototypes. 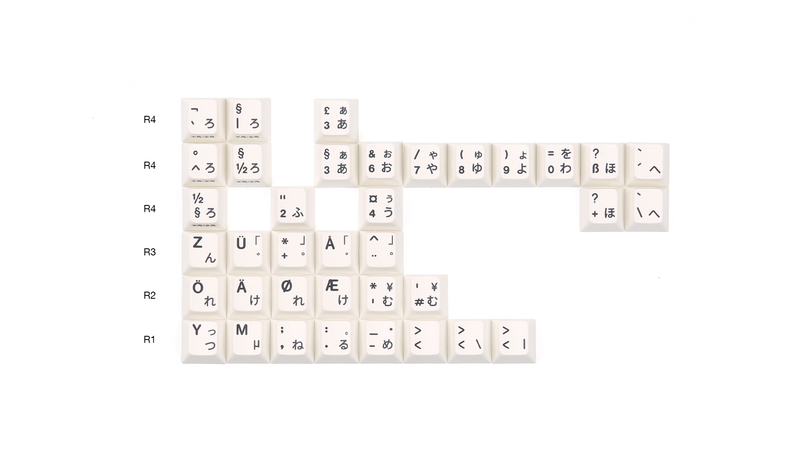 18/03/2019 UPDATE: Added renders of the RAMA collaboration keycaps. 29/03/2019 UPDATE: Group buy is live! 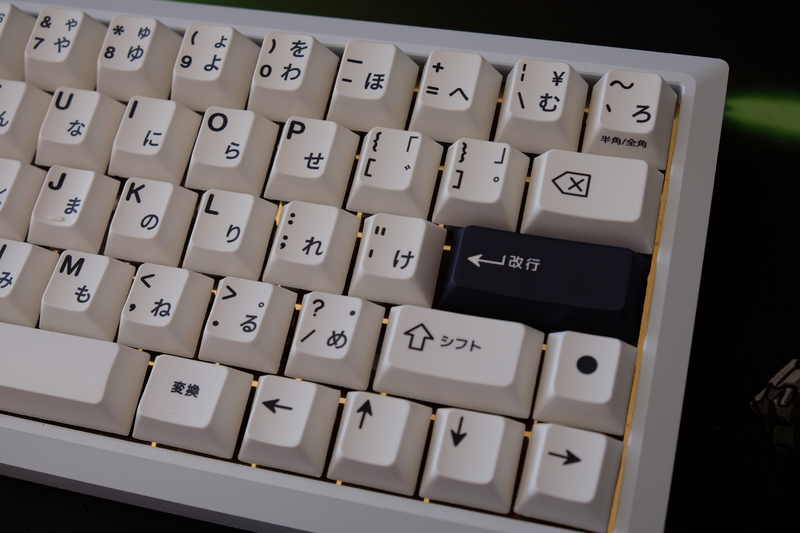 05/04/2019 UPDATE: MOQ has been reached on both the set and the RAMA artisan. I think it looks magnific and even though I see the overlap with BoW, I would buy this in a heartbeat. Great work as usual! 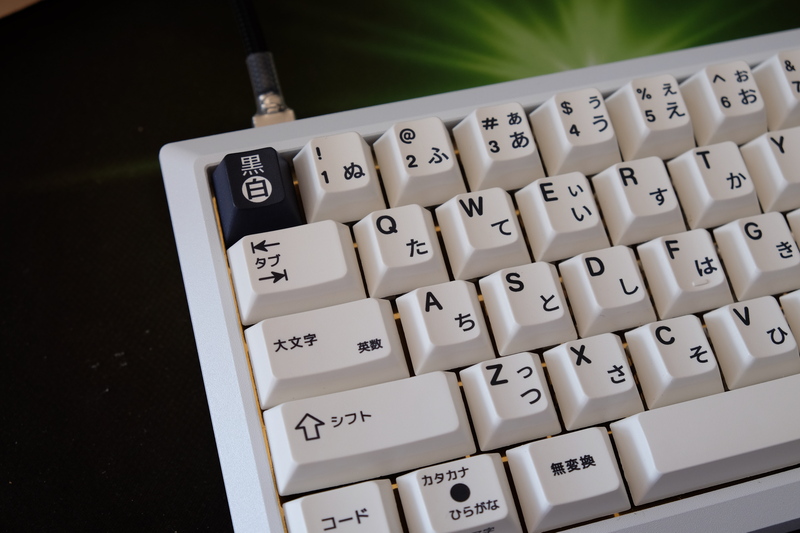 But the main thing will be the Japanese mod kit which I have been working with Ai03 on which should provide Japanese alternatives to almost every mod key. I think those are more than enough for justifying getting it even if you already own BoW, which is my case. Can we change the 1.5u backspace to use the same arrow as the 2u backspace? I'll be keeping the box backspace in the base kit as is but the Japanese kit currently has a different design of small icon + kanji. not sure if it's just me but the picture links don't work. i'd pick up a set, haven't picked up one of the sets already out since i'm not really into beige on my current keyboard. I've just switched the link to a different host. Does it work now? Why not take advantage that it's dyesub and make sublegends a different color, like red. I thought there is already enough visual interest, especially when combined with Japanese mods. Or the sublegends in gray? I'd definitely be interested in a Japanese mod kit. One thing I like about the alphas with sublegends is the greater amount of legend color that's on the caps, but in contrast the normal mods seem a bit empty and plain. Sublegends with color would be amazing. I'd be all in with that. I am generally a fan of icon mods but I think the shift keys look a bit empty and I'm not afraid to mix it up a little. 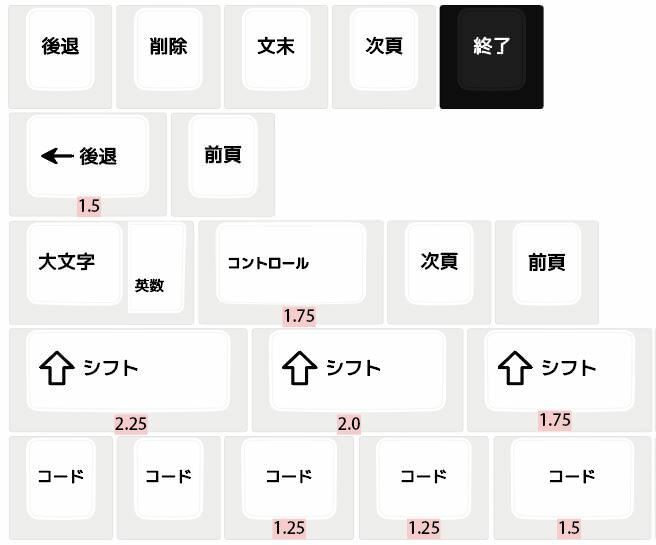 When pooling the kits that I have planned, my preference will be standard bottom row (includes Japanese sublegends for certain keys), Japanese shift, Icon enter, tab and backspace keys and Japanese navigation cluster. 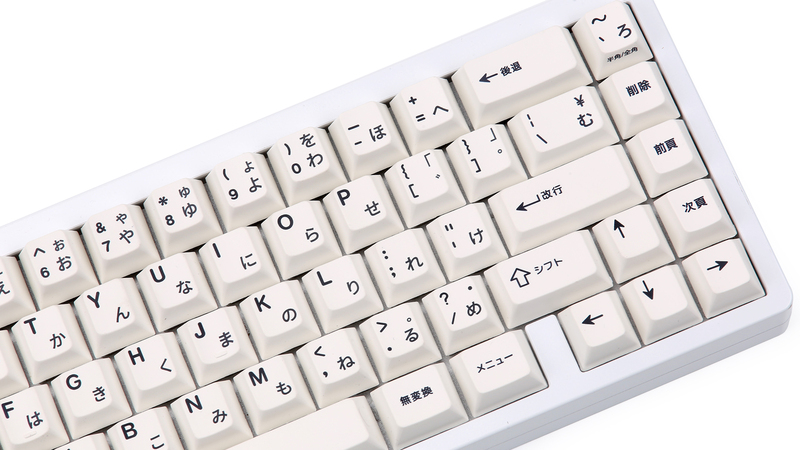 If you look at some of the old Japanese keyboards, there is actually a fair bit of English on them. 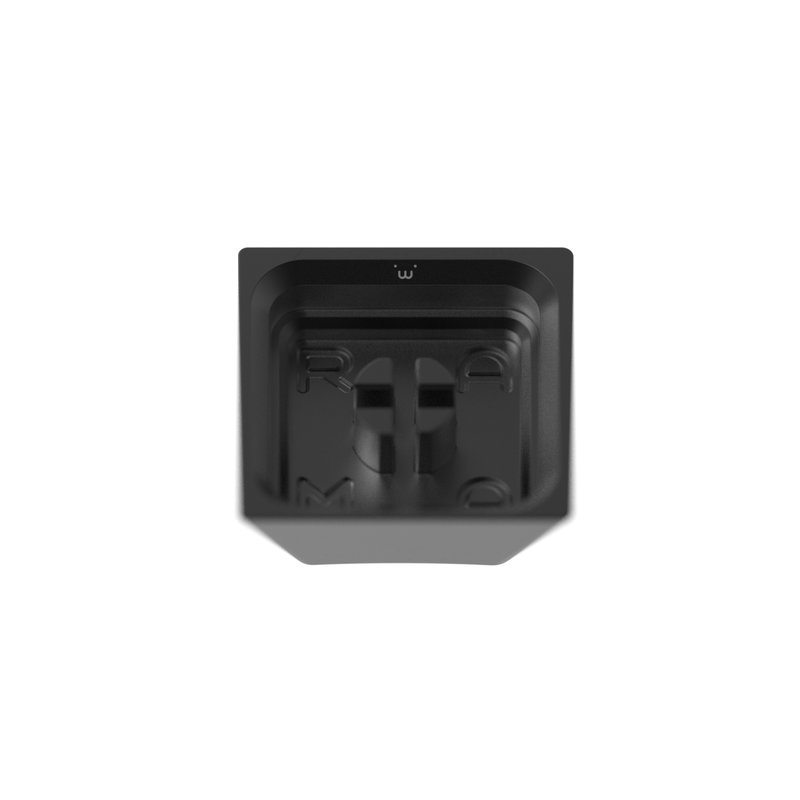 My aim is to have both the base and kits consistent with each other so that you can choose whichever key you want to swap in on a case by case basis and not have them stick out like a sore thumb. I won't be splitting the alphas out, sorry. They wouldn't work with Epbt BoW because it will use a different white, if that was what you were thinking of doing. 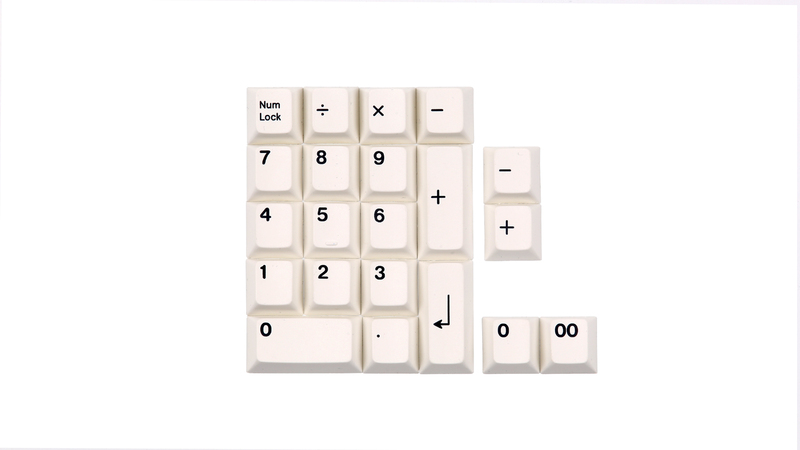 Will this set be capable of populating a JIS layout keyboard, like for example the ones by Filco? At the risk of sounding like one of those people who thinks they know everything about Japan because they watched Karate Kid in the 80's: they say shiro kuro, not kuro shiro. You are right but I was trying to follow the pattern of Black on White. Shiro Kuro would seem more like White on Black to me. Black and white is good, cleaner then black white and grey. Is there a timeframe for the GB? I'll need to check. With the sheer number of keys, I'm guessing you would since it also includes fringe keys like 3u spacebars but I really need check. I can get all the design done by the end of the month but what will delay starting the GB would be getting the samples in. It took a long time to get the samples for the normal BoW, which was partly responsible for some of the delays, so I'd prefer to have the samples on hand and have everything confirmed before opening the preorders this time round. Have a rough estimate on price? With that kind of compatibility, I'm most likely in. 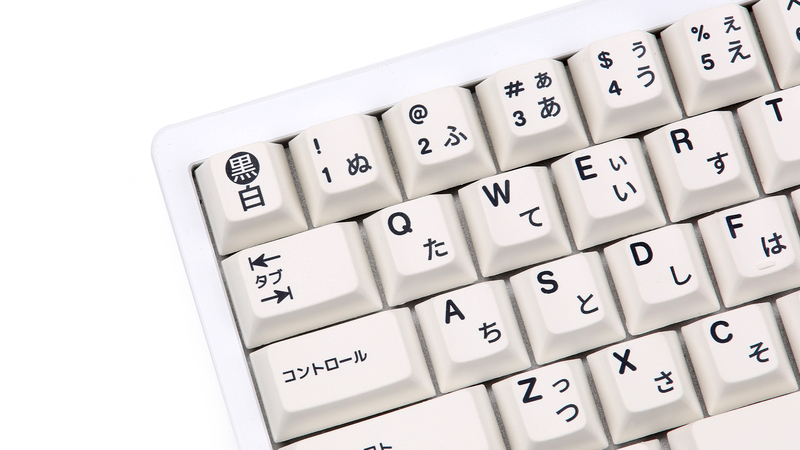 Hard to say since the biggest unknown is sourcing the reversed dyesub accent keys. Aside from those, I'd say it would be around the 90-100 USD mark including shipping for the base set, same as epbt BoW since it has a similar number of keys. What do you have in mind regarding the white color? 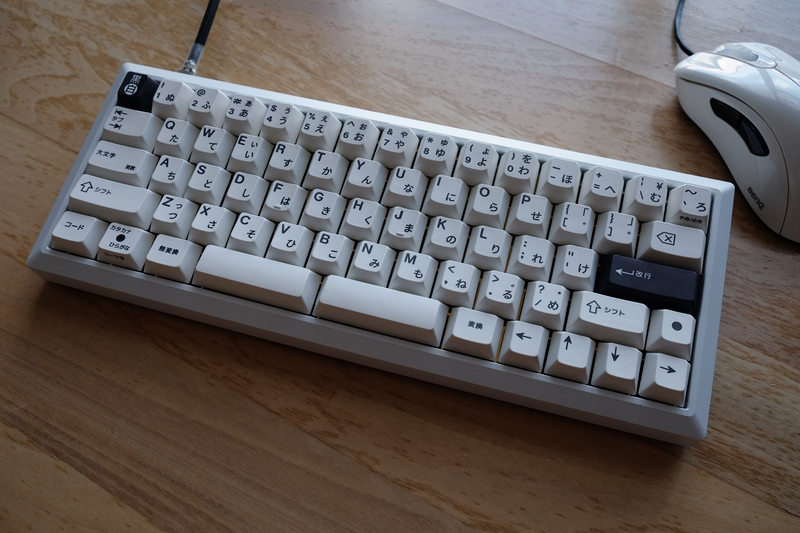 My aim is to match the ED coated cases but without seeing those, my gut feel would be some similar to GMK WS1. The original black on white was more like something between WS2 and GR1. Oh my b, I think they're shop links. They still don't work for me but I was able to find them on kbdfans. I think it's the %27 in front of the links that's killin it. I think light gray might look kinda nice actually. Ah thanks for clarifying. Those links should be fixed now. Out of all the epbt sets coming up this now has my interest the most. 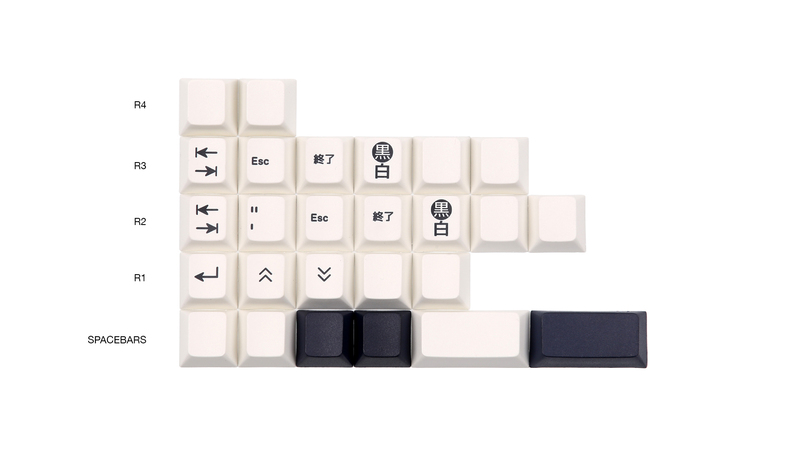 I like it as is with a more true white color code as well as an attempt at reverse dye sub for the accent keys. Interested to see what you will do with the Japanese mod kit, will keep my eyes peeled on this IC! I like it, and I want it. Why are the row numbers inverted on the kit image ? is this an epbt thing ? Love the set, would love an accent kit - black or red or grey , and sub legends in a more subtle color like grey to make it look a bit less busy. Yup. It is an epbt thing. I'm going to try grey sublegends but I prefer black and which is also part of the theme for the set. Please note that it hasn't been finalised yet and the above only shows part of the kit. I'd like to put the banner in my signature, do you have the info for it? I didn't realise that there was a standard size so I'll modify the banner and the code later today. 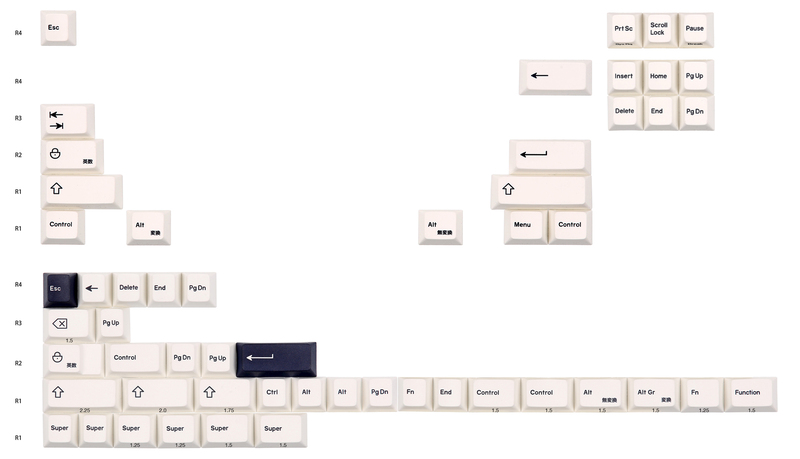 Would definitely support this, assuming all HHKB keys/mods match up properly w/ the theme. Interested! I rarely like black on white but this looks great. looks so very awesome! I know its a far far away wish, but please consider a international kit. Yes, that will be something that I will look at as well as well as 40% ortho compatibility. I've mentioned this elsewhere before but the tricky thing would be in dealing with the ISO keys that already have sub legends. 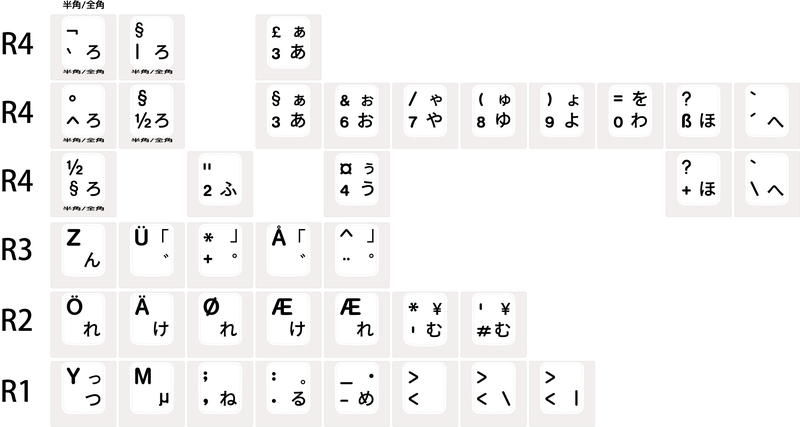 In the end, it won't be a 'proper' Japanese layout but I should be able to get it to cover the full hiragana alphabet and punctuation keys.